THE SHORTLIST FOR the prestigious Tipperary International Peace Award has been announced. The award is given each year to an individual as recognition for their humanitarian work – with it going to Ban Ki Moon last year. Former recipients of the award include former South African President Nelson Mandela, US President Bill Clinton and Pakistani schoolgirl Malala Yousafzai. The award comes with no cash prize and was started due to the county’s association with the song ‘A Long Way to Tipperary’, a war tune sung in the trenches by the British Army during World War One. With the exception of the last entry, most of the names on the list will be familiar to the public. Chris and Regina Catrambone this year founded the Migrant Offshore Aid Station, which operates drone-supported search and rescue missions aimed at preventing the loss of life at sea. To date they have saved nearly 12,000 people. Former DUP leader Peter Robinson is being recognised for his contribution to the Northern Irish peace process, while Mary Robinson is nominated for her work as Irish President and more recent efforts with climate change. 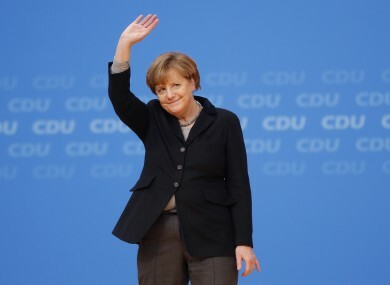 Angela Merkel is on the shortlist for her efforts in dealing with the migrant crisis that has been ongoing across Europe this year. John Kerry is recognised for his ongoing negotiating efforts in the Middle East. Email “Angela Merkel may be about to win an award in Tipperary”. Feedback on “Angela Merkel may be about to win an award in Tipperary”.